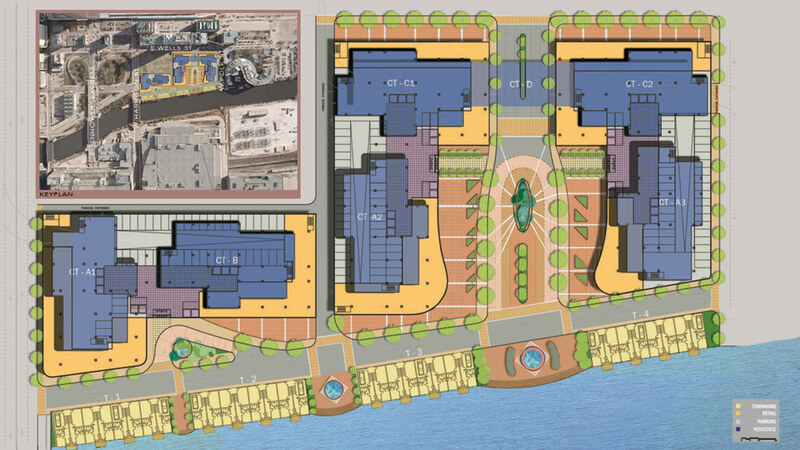 The proposed redesign Chicago Riverfront development culminates to the south at Franklin Point, a series of high-rise mixed-use towers behind low-rise townhomes. Four townhome buildings and six high-rise condominiums are designed to directly relate to the surrounding urban fabric. The orthogonal alignment of the towers corresponds with the urban grid of Chicago to the east, north, and south. 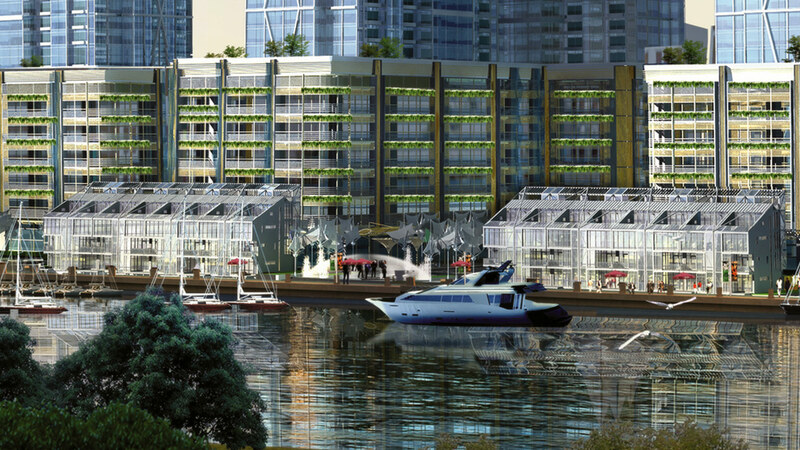 To the west, the development opens to views of the riverfront while creating an enclosed community. 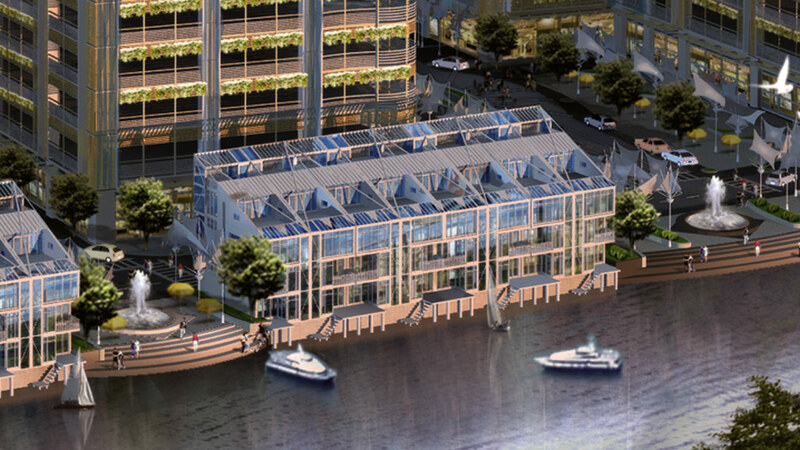 This enclosed area is set off from the more intense surrounding activity, and it is conducive to shopping, outdoor dining, leisurely walking, and the relaxed enjoyment of the riverfront. A sense of place is created through the architectural massing, which buffers the development from the adjacent roads, as well as through architectural design, streetscaping, and landscaping. Located behind the townhomes that line the river are the 6 high-rise condominium buildings. 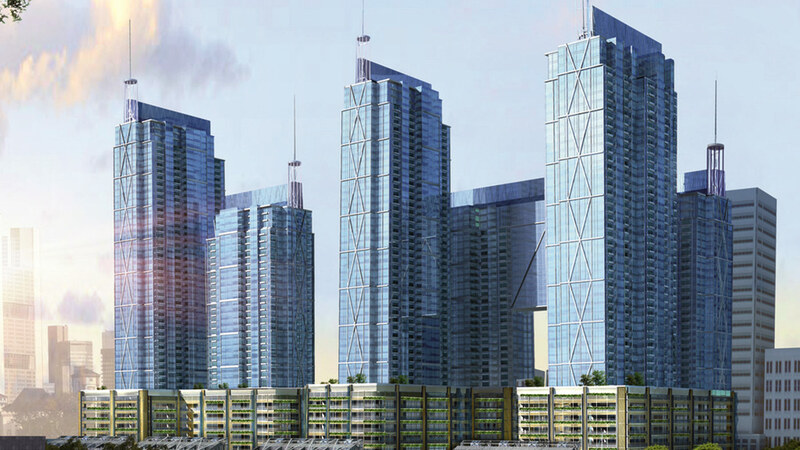 Paired high-rises share a parking and retail base, with each tower pair sharing entries to its condominium units. These entries, each with their own guard stations, establish security and a sense of place for the condominium towers. 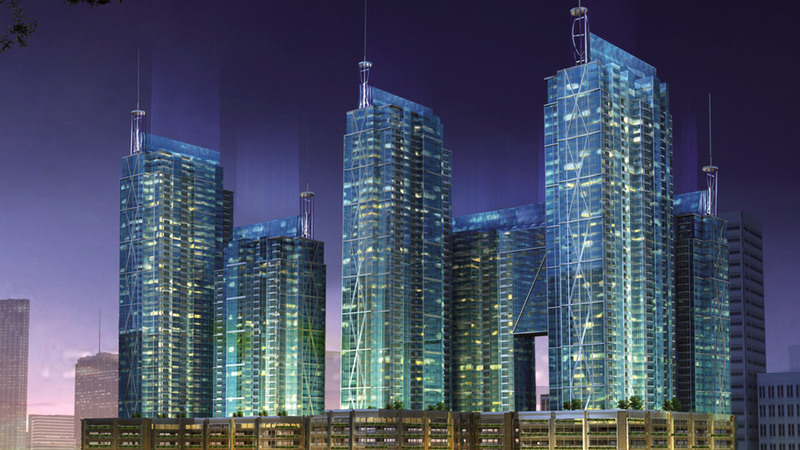 By dividing the overall unit count of the condominiums into six towers, the scale of the individual towers is reduced. This allows lower density towers with more corner units. 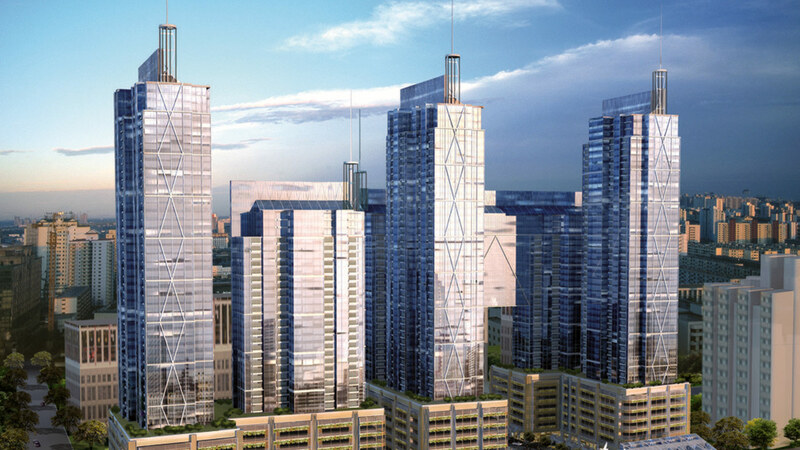 The towers are arranged to maximize favorable views towards surrounding areas, including the city to the north and south, the riverfront to the west, and the lakefront to the east where possible. Through its design, the project addresses Mayor Daley's goal to make Chicago the "greenest city in the country." The condominium tower tops feature wind turbines to help generate electricity for condominium usage. Above the tower top pool and recreational centers, tall plenums clad with photovoltaic skins provide supplemental electricity, while the heat this skin creates through electricity production draws air up through the plenum, to create a natural cooling effect for the common areas of the condominium towers below.